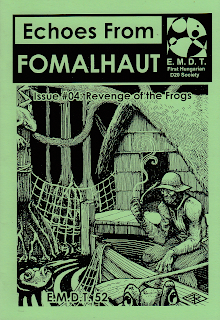 I am pleased to announce the publication of the fourth issue of my fanzine, Echoes From Fomalhaut. 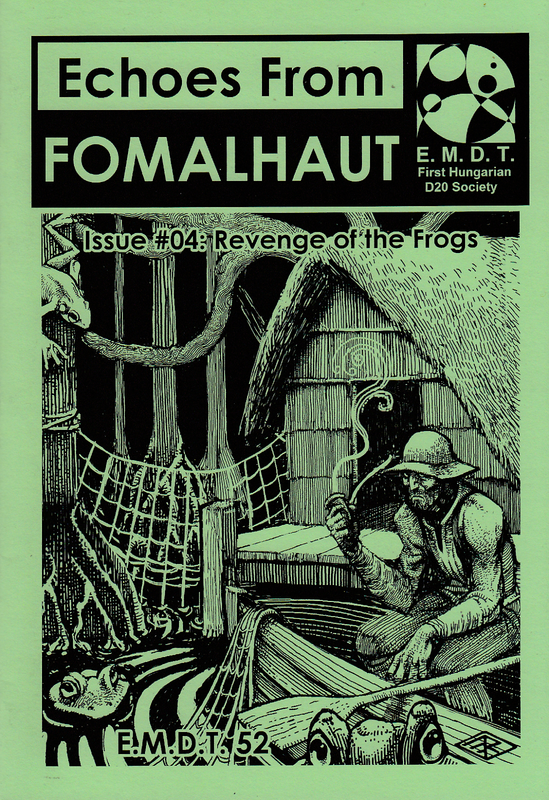 As before, this is a zine dedicated to adventures and GM-friendly campaign materials for Advanced old-school rules, with cover art by Matthew Ray, and illustrations by Denis McCarthy, Stefan Poag, Andrew Walter, and others. Congratulations! I do note that there has been progress on the Froschkloster, I feel confident in saying it will see the light of day this year, along the other submissions.